Since 1984, HY-GRADE has built a reputation for complete customer satisfaction by employing stringent quality guidelines and precise manufactoring techniques. HY-GRADE manufactures check valves which are engineered with features that solve common check valve problems. 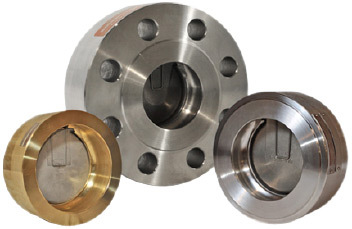 HY-GRADE offers a full line of check valves used across many applications and industries; Oil & Gas, Pulp & Paper, Chemical, Petrochemical, Refining, Mining, Marine and Power. © Copyright 2019 HY-GRADE Valve Inc. All Rights Reserved.